Who wouldn’t want a rifle that the US Army found efficient enough to replace their old issues? Although they look almost exactly the same, there is one small difference between the Army’s M16 and the civilian AR-10. Your AR-10 is bigger and shoots larger rounds. When you’re stocking up on guns, why would you opt for anything but the most powerful? Even compared to its cousin, the AR-15, the higher standards of accuracy, precision, and power are obvious. In the time of its creation, the gas-operated, magazine-fed prototype was genius. That’s only one of the many reasons why it still remains popular with the public today. When you imagine your dream rifle, you’re probably envisioning a custom build of an AR-10 and don’t even know it. They are the most versatile due to endless stocks, grips, and magazine options. Finding a variety of parts to build your own is affordable, but out-of-the-box can have reasonable prices too. This is what makes it the most economical rifle on the market. Although the AR-10 has a steeper learning curve than an AK-47, AR-7, and other infamous rifles, it’s well worth the extra effort. If its respectable innate traits aren’t convincing enough, let’s look at what it’s really capable of. Out-of-the-box, an AR-10 can shoot accurately roughly up to 200 yards with less than 1 MOA in the right hands. With the best scope for AR-10, you can shoot up to 1000 yards. That kind of distance might be hard to imagine, but with the right scope, it’s not as crazy as it sounds. It gets even better the more you practice and get to know your rifle and scope. A scope with the perfect, personal fit will make you feel like a pro in no time! However, before you get carried away, let’s put your typical hunt or target practice into perspective – literally. Since AR10s are easy to build and customize, these ranges will change with respect to barrel length. The longer the barrel length, the further your range will reach. Now let’s look at magnification as choosing too weak or too powerful of a scope will be counterintuitive to your end goal. Long-range shooting takes some practice since factors like wind make it more difficult. However, you’ve already chosen one of the best long-range rifles on the market. If you want to improve your shot or just simply push your personal best, you’ll want a suitable AR10 scope to get you there. Long range can be tricky depending on the size of your target. Smaller targets require better clarity and higher magnification while larger targets do not. However, the best magnification for AR-10 at long range is about 9x and up. For long range shooting, you would want a lens diameter of 40mm or more as well. Higher magnifications need more light and a bigger lens absorbs more light. Our suggested scopes for long range shooting all feature a 40mm lens or a larger one, so you shouldn’t worry about it too much. For most AR10 users, medium range is the most comfortable. With the heavy-duty power behind an AR10, you can easily obliterate anything in this range or lower. However, you’ll want at least 5 – 9x magnification to see your target well enough. Close range for the AR10 is often the same as long range for other rifles. You will have no problem hitting anything in this distance. However, since your target is closer you’ll want lower magnification. We suggest 1 – 4x power. The best scope for AR-10 will be one that suits your typical shooting distances. If you don’t often hunt or target practice in large, open areas, don’t buy a scope with high power. On the other hand, if your environments are as versatile as your favorite rifle, choose one with a wide variable. Some days you might only use 4x power while other days you’ll have to crank it up to 16x or more! It’s all up to you. Here is a quick list. Read on to see our more comprehensive reviews of each scope. Simply, this means that you will not have to adjust the elevation for longer range shots. All you have to do is use the reticle that matches the distance you are shooting and pull the trigger. Let’s get right to it! Which one of these do you think will serve your needs best? We’ve tried to include scopes with different magnifications in different price ranges so there is something for everybody. It goes without saying that the .308 remains one of the most popular cartridges used with the AR-10 for game hunting. So, we figured that the caliber specific Nikon M-308 scope would be a perfect pick. Nikon continues to amaze us with phenomenal riflescopes. This sleek piece of equipment is made just for long-range rifles like the AR-10. Its light weight is extremely helpful when you’re carrying your gun or holding it still for long periods of time. Then when you’re ready for the shot, your view will be no less than clear and spectacular. Light transmission ranks at a very excellent 95% through a simple, clean reticle. Unlike some others, it is not bogged down with excessive markings. On the other hand, it does not have an illuminated reticle which is what makes it so lightweight. If you aren’t using your scope at night or in otherwise shady, low-light areas, you won’t be missing much. The only other common complaint is that the eye relief gets slightly uncomfortable after hitting the 12x magnification. Otherwise, this dependable scope maintains your settings even after heavy recoil. At the end of the day, especially with the AR-10, this will save you a lot of time and hassle. How many times have you had to search online for scope accessories? How many of those times did a simple purchase turn into weeks of returning items that don’t fit? Unlike many scopes, this one comes with everything you could want. The sunshade, mount, lens caps, and cleaning cloth are all specifically mae for this exact scope. Talk about convenience! 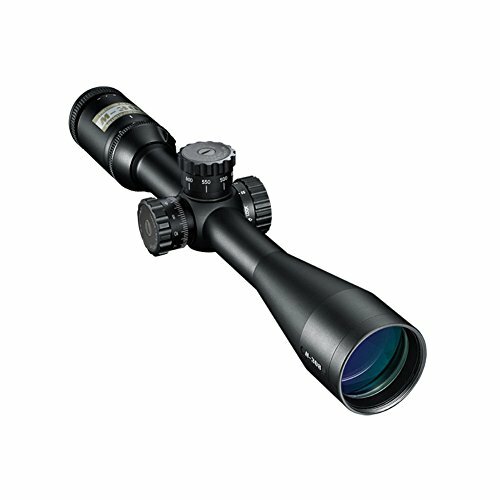 Since it has such a wide range of magnification, this scope is suitable for any type of use. While it’s good enough for hunting, target, benchrest, or tactical shooting, it doesn’t excel in one or the other. In other words, it’s the Renaissance Man’s (and Woman’s) scope. An excellent choice for all-around use. 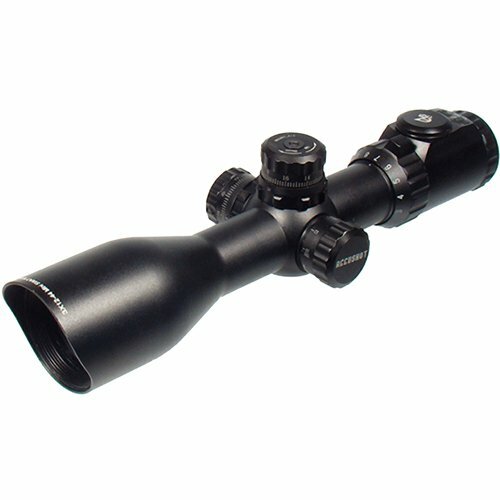 This scope would also be one of the best scopes for .308. You don’t realize what you could be missing when you stick with the same brands. Although Vortex isn’t as popular as Nikon or Bushnell, they are quickly rising and for good reason. This scope, in particular, is a simple one, void of superfluous gadgets. Instead of attempting to impress you with a novel-length list of average features, Vortex put their focus into performance and reliability. This scope doesn’t hold your hand through the hunt – it just excels at what it’s designed to do. The first thing you’ll notice is an aircraft grade aluminum build. This keeps it lightweight without sacrificing durability. How durable, you ask? It’s extremely resistant to heavy recoils and all types of weather conditions and climates. You’ll never have a foggy vision or otherwise wet mishaps thanks to the internal argon gas. In fact, you’ll always have a clear view all the way out to the edges of the lens! It even comes with a protective lens to prevent scrapes and scratches. One of the only common complaints about this scope is that the parallax is not great after 50 yards. That means that occasionally you’ll use some extra time to adjust your shot. However, Vortex put their genius to work to somewhat counteract this slight downfall. The Dead-Hold BDC reticle is unique to Vortex. Not only does it utilize a reticle you’re probably familiar with already, but also takes away all the guesswork. Hold-over corrections and windage will never be an issue, allowing you greater accuracy and confidence. It gets even better with windage and elevation pop-up dials. They’re easy to use and have clearly audible clicks to eliminate what little worry the Dead Hold did not smash. Are a first-time scope user, on a budget, or sometimes too rough with your equipment? If you said “yes”, this is your best scope for AR-10 training, competition, and fun. Just because it’s a more simple scope does not make it less valuable. It’s built with integrity, long-lasting, and is easy to install and use to get you out on the hunt quickly. The wide magnification range also makes it useful in a number of situations. There’s no going wrong on this one. It would also be a great scope for 30-06. What do you think of when you hear the word “innovation”? Whatever it is, forget it! This UTG scope takes it to a whole new level. Your target aiming will never be more accurate with the zero locking target turrets and zero resetting. You will never lose any settings, allowing you to fully focus on your target. For even further aid, you can use the Side Wheel Adjustable Turret (SWAT) that gives parallax range of 10 yards and way above! The only slightest complaint is that the side focus knob is kind of tight, making it challenging to tune sometimes. Despite this tiny inconvenience, you are getting high-tech features at a very reasonable price. One of the most impressive features, by far, is the IE reticle. What is an illumination enhancing reticle? The crosshair reticle in your scope will light up for nighttime or otherwise low-light usage. Although basic IE reticles are just red, this UTG scope has 36 color modes for all environments and personal preferences. Overall, this luminous addition and other high-tech features make it slightly heavier than other scopes. If anything, that extra weight is a testimony to its reliability and durability. Once you get a feel for it and use the several color modes, you won’t want another scope! If you are an avid outdoor hunter or work in law enforcement, this is your lifesaver! Despite your environment and situation, the IE reticle allows you to catch your target quicker and more precisely. If you are serious about your shots, mount this on your AR-10 and try it out for size! If you want a true blue American scope, look no further. Leupold has been a family-owned company for four generations. Maybe you’ve seen one of their scopes before without realizing it – they have a distinctive gold ring around the objective bell. Truly, it is their mark of whole-hearted quality. The VX-2 is a happy medium between the frugal VX-1 and premium VX-3. Thanks to blackened edges and an index-matched Diamond Coat, this scope proves an excellent 94% light transmission. The Diamond Coat is unique to Leupold, providing complete protection from scrapes and scratches (even during hard use). Also, Leupold employs a custom dial system (CDS) that will adjust to your specific cartridge. That means you never have to adjust for elevation and holdover! This external eyepiece allows you to focus the reticle quickly and provides fantastic eye relief. What does that mean? You can use this scope without worry of heavy recoil. As long as you’re shooting within close to medium range, the specially designed eyebox will give you the perfect shot without effort. It’s so effective and so simple, it almost feels like cheating! Overall, if you aren’t primarily shooting long-range, you can’t find a more trustworthy scope for your AR-10. A scratch-resistant, Diamond Coat lens made in America by a family-owned business sounds like a dream come true. The customizable dials and excellent eye relief are just a cherry on top. If you can believe it, you get all of this for a fantastic price. 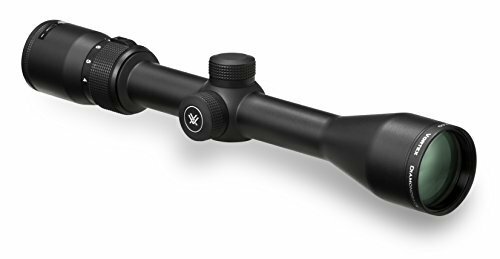 It would also be one of the best scopes for 6.5 Creedmoor. If you think you’re a great shot on your favorite rifle, wait until you mount one of these sleek scopes on! Shoot further, win that competition, and bring home that 12-point buck. There isn’t anything you can’t do when one of the greatest rifles pair together with the perfect scope. If you are a fan of powerful rifles, you can check our m1a optics and scar 17 scopes guides.